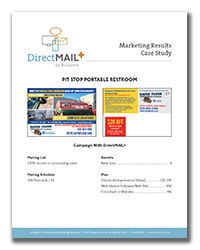 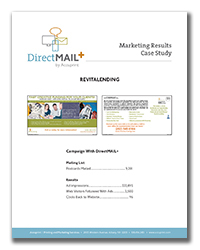 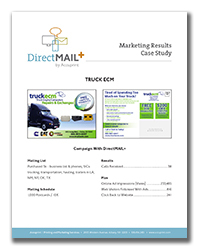 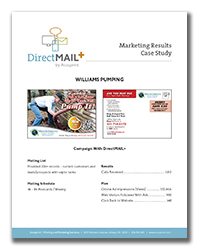 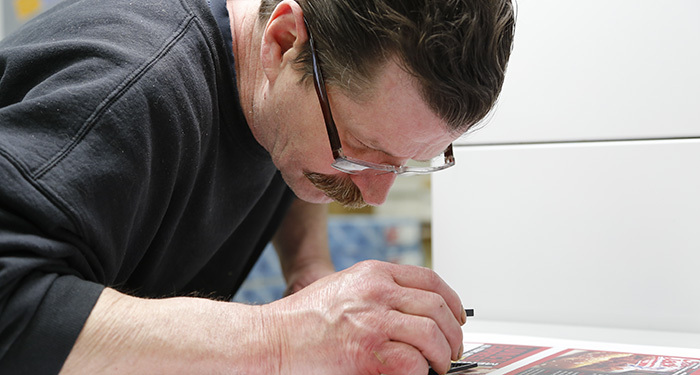 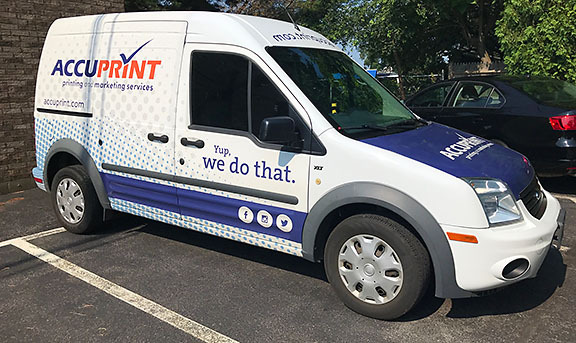 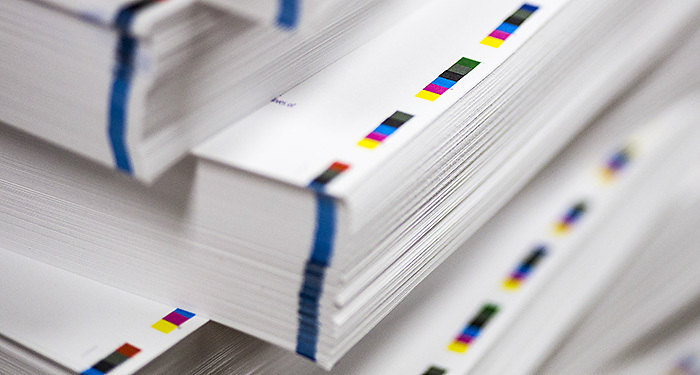 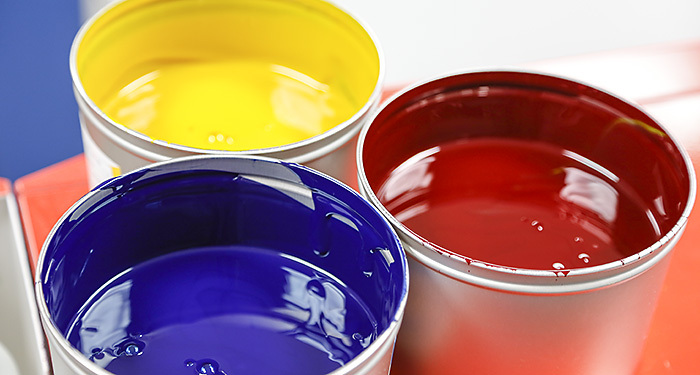 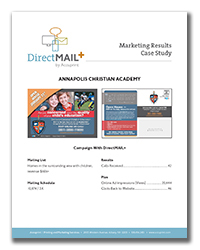 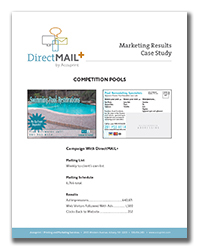 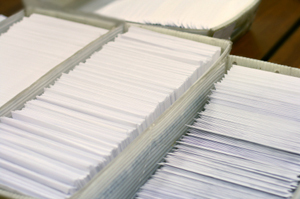 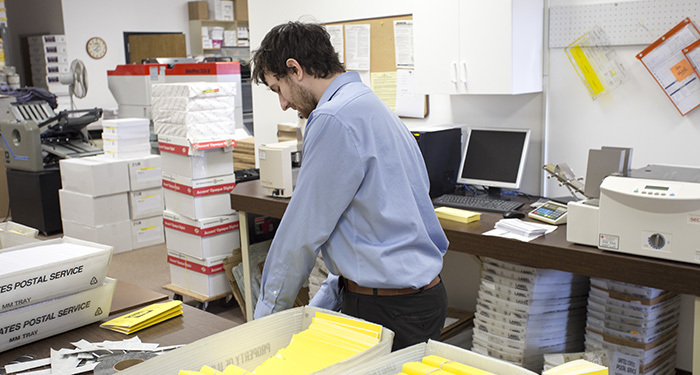 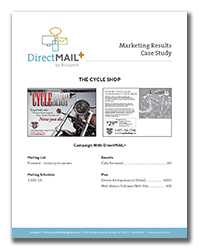 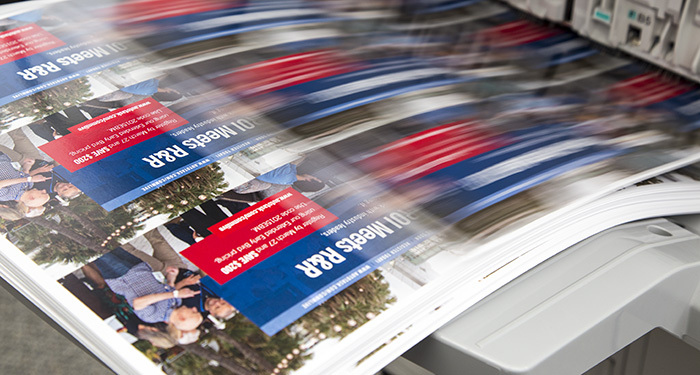 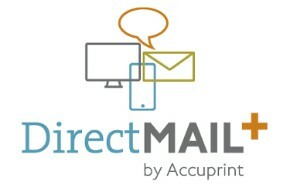 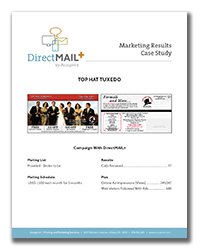 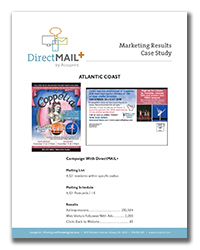 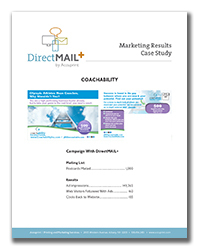 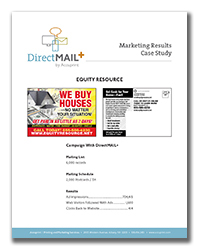 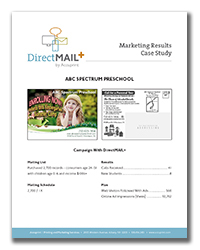 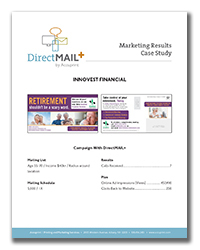 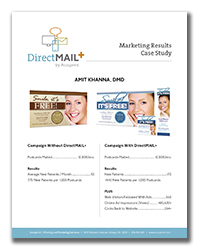 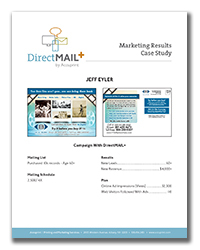 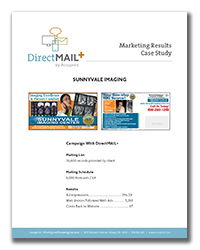 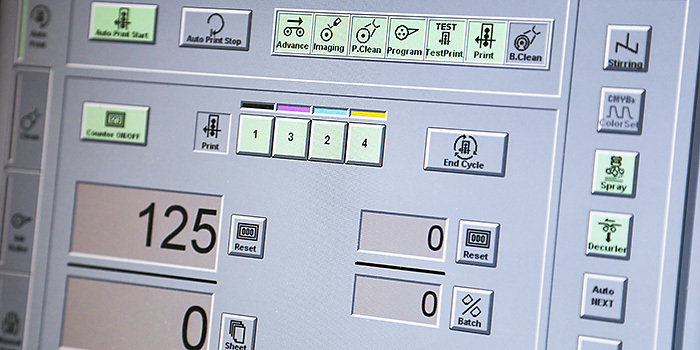 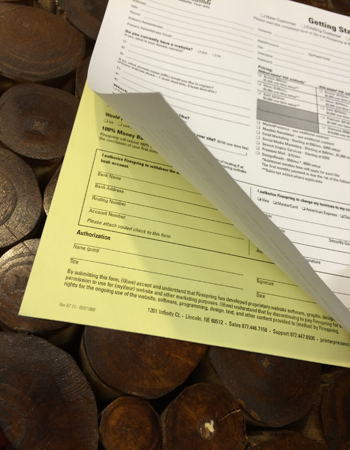 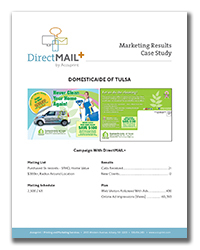 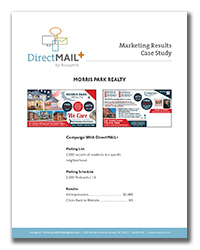 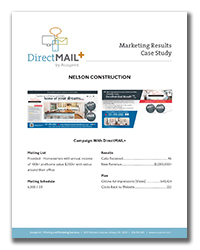 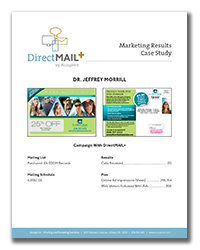 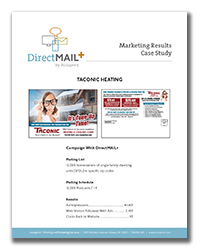 See how businesses like yours have used the DirectMAIL+ system to drive growth, acquire new customers and lift revenue. 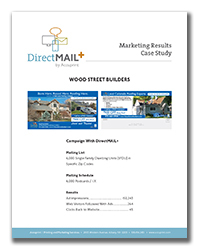 Pay attention to the number of impressions (views) of banner ads, how many unique web visits, and where indicated, the number of new customers per mailing. 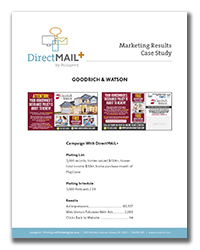 These numbers are typical of what we see with DirectMAIL+, and this system can be utilized to grow your own business as well!